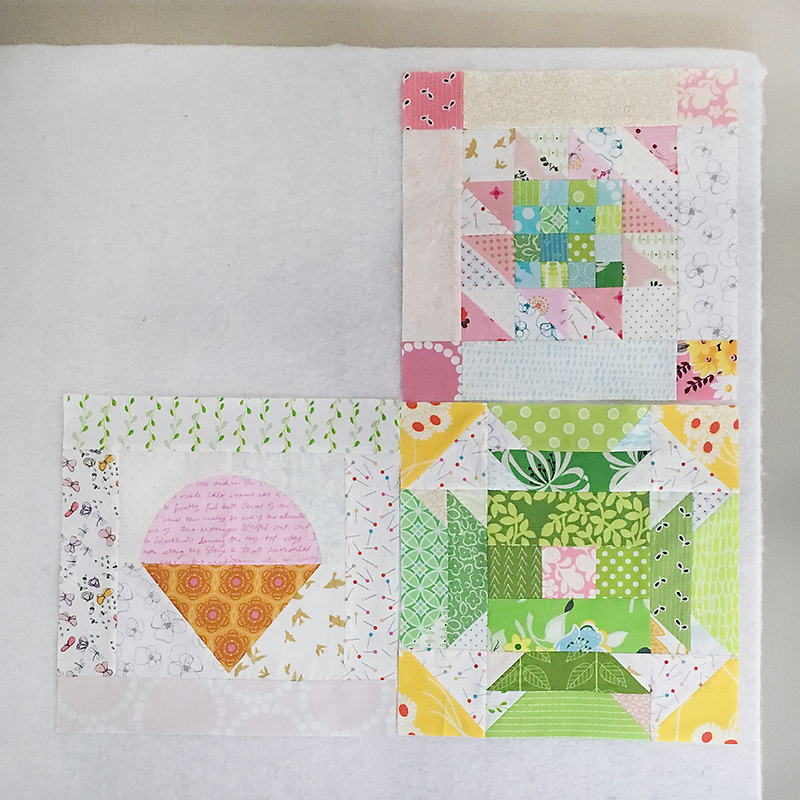 Today marks the third week of the Summer Sampler 2016 quilt along! This week may be a bit scary for some of you, because we are tackling our first block with curves and templates! The Snow Cone quilt block was designed by Nicole Daksiewicz of Modern Handcraft. A perfect block for the start of summer. You may be surprised to hear that I finished this block faster than either of the blocks from Week 1 or Week 2. I thought I'd share a few pictures. When cutting out my templates, I debated where I wanted to use each print (since I'm going pretty crazy scrappy). I found it helpful to cut and lay out all my pieces before getting started with the sewing. When I sewed my curves, I started with a pin in the creased center (just like in the pattern). Then I matched up one end and pinned. I repeated the same for the other end. If you are new to curves, I know it looks like there can't possibly be enough fabric, but I promise there is! Put in as many pins as you need to feel comfortable sewing. For sewing them together, stitch from one end to the other. Take it slow and if you need to occasionally lift your presser foot and shift the fabric, go ahead. After a bit of practice, you may find that you don't even need to pin, or just can pin once in the center. If you are a visual person like me, check on this great video tutorial by Angela Pingel on sewing curves. Here's my blocks from Weeks 1 through 3 all together! I plan on working some more blue into my next block. I'm looking forward to seeing everyone's snow cones this week!